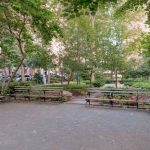 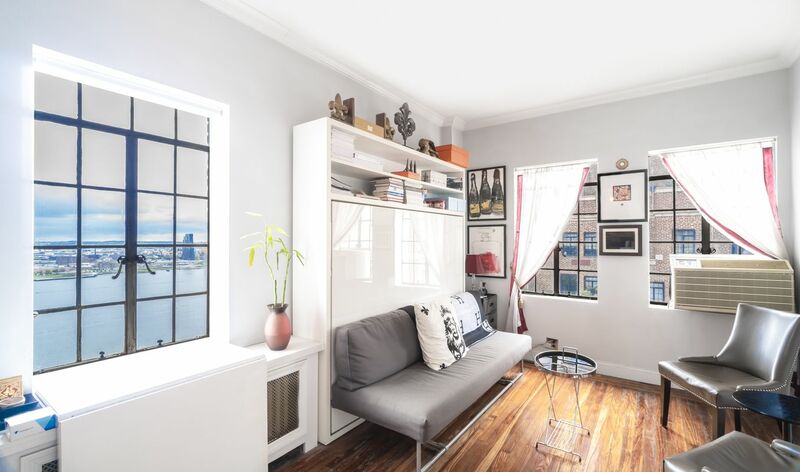 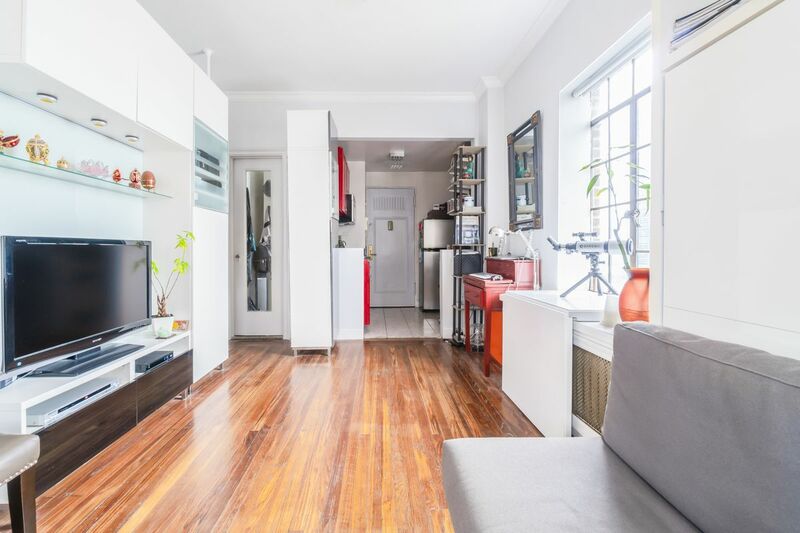 What it lacks in space, this Tudor City studio makes up for in views and location. 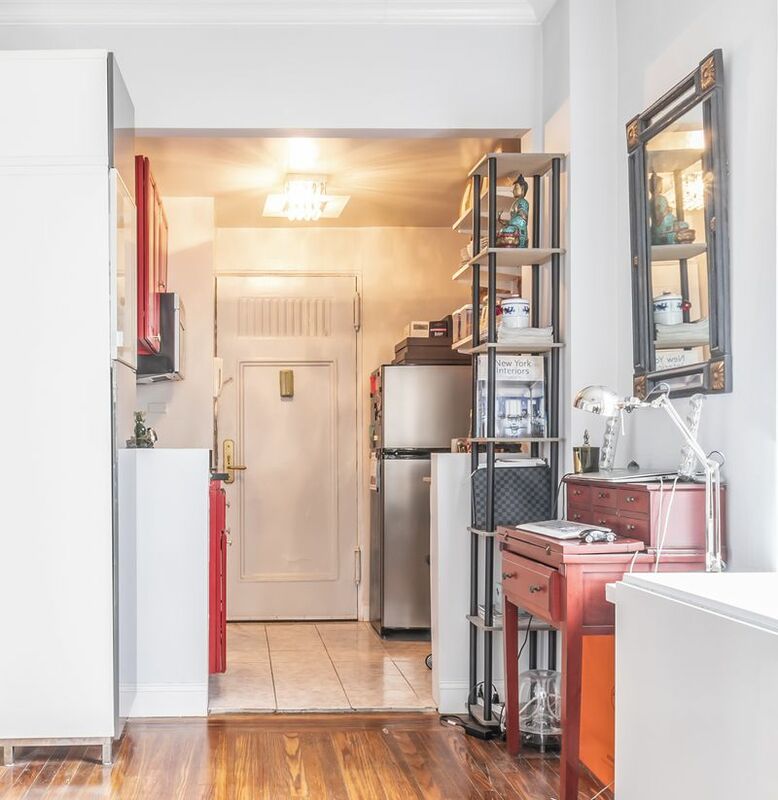 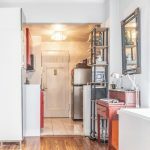 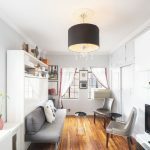 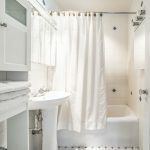 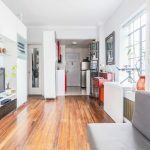 The 600-square-foot, top-floor, corner apartment has a compact kitchen and a Murphy bed, but it’s also lined floor-to-ceiling with built-in shelving and cabinetry. 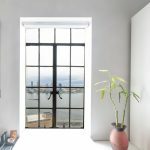 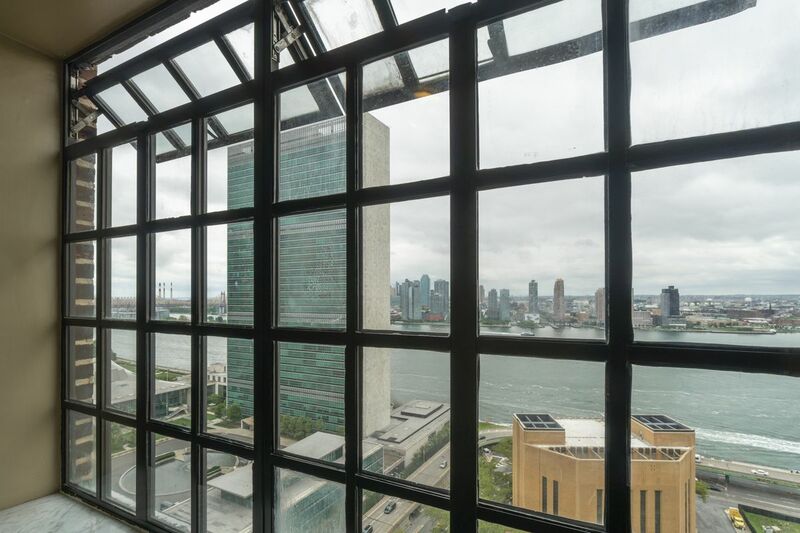 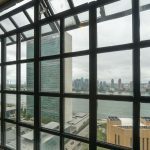 And the huge pane-glass windows not only let in tons of light, but provide incredible views from the 23rd floor of the UN, East River, and Long Island City. 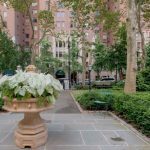 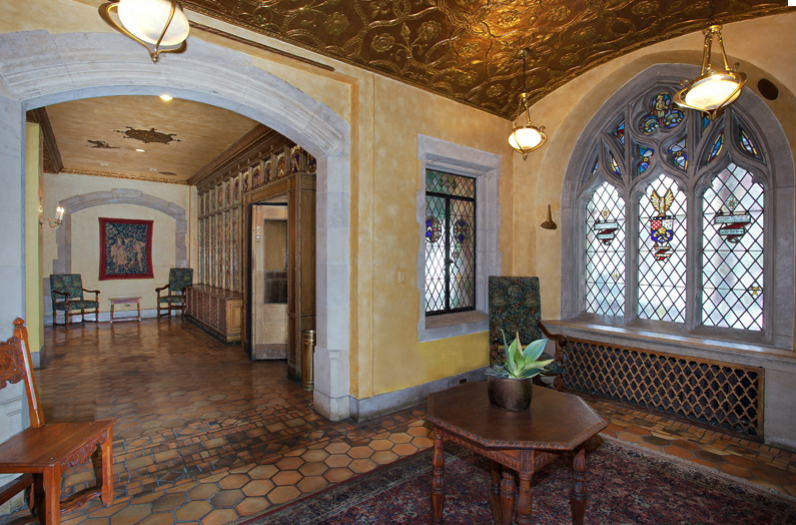 Tudor City, the 1920s Turtle Bay apartment complex, was the brainchild of real estate developer Fred French, who believed his urban Utopian vision would attract Manhattan’s most luxurious residents. 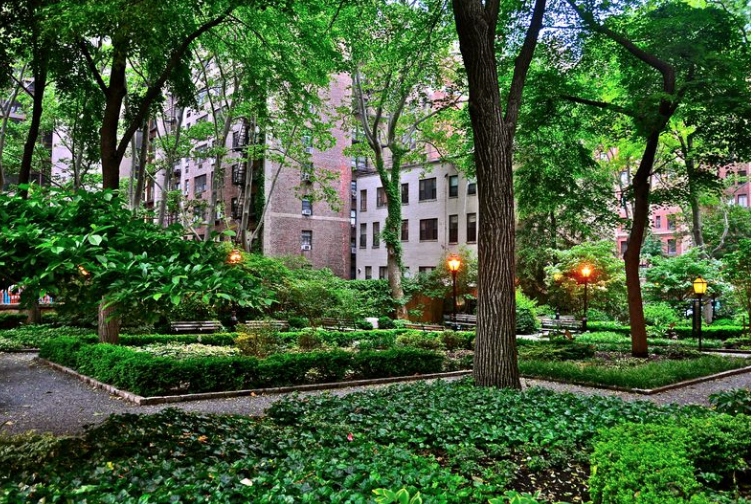 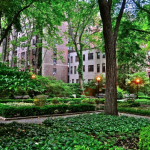 He surrounded neo-Gothic brick buildings with tulip gardens, pathways, and private parks. 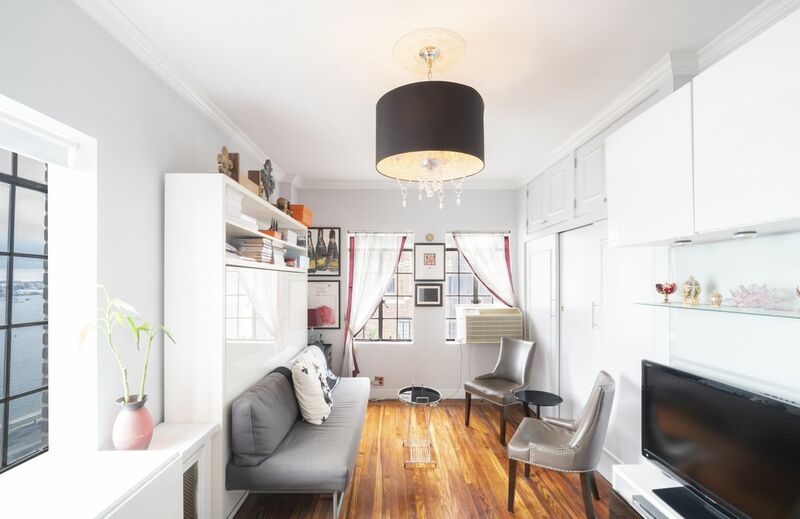 The petite pad “features delightful arrangement of space,” according to the listing. 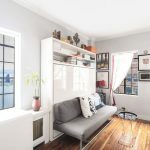 It has restored hardwood floors, crown moldings, custom light fixtures, and a “bountiful amount of closet/storage space,” all outfitted in crisp white lacquer that makes the space feel much larger. 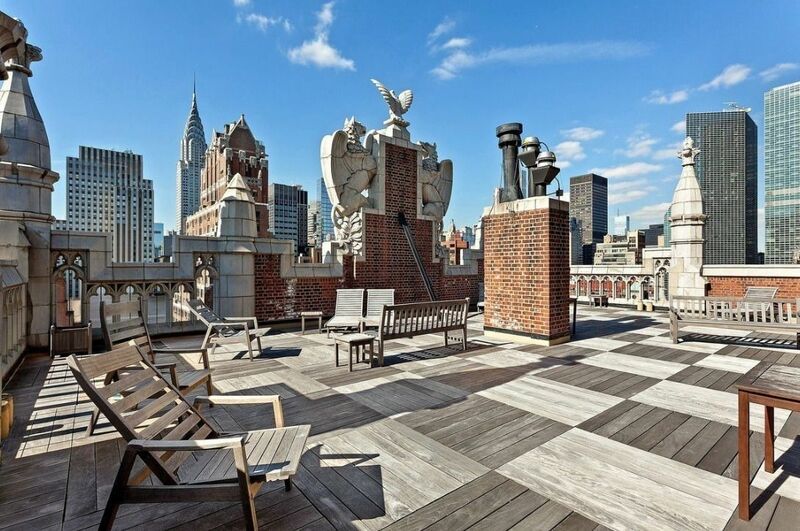 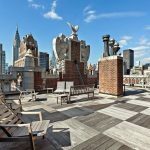 25 Tudor City Place, also known as Tudor Tower, has 443 apartments spread across 23 floors. 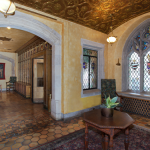 It was one of the three main original buildings and still retains its historic Gothic lobby and roof deck. 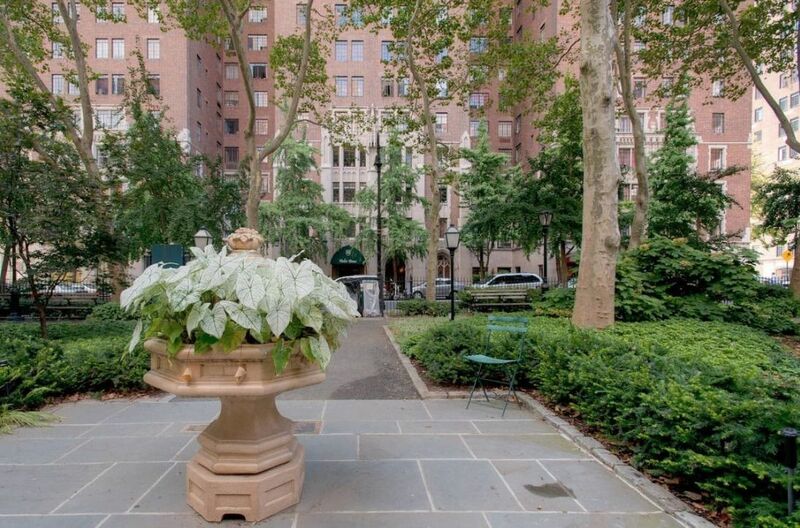 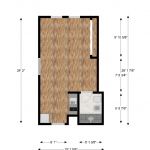 It also offers a full-time doorman, laundry room, and a gym in the building next door.